The Cleveland Browns haven’t known much success over the past decade or so, but this team might just be on the rise. 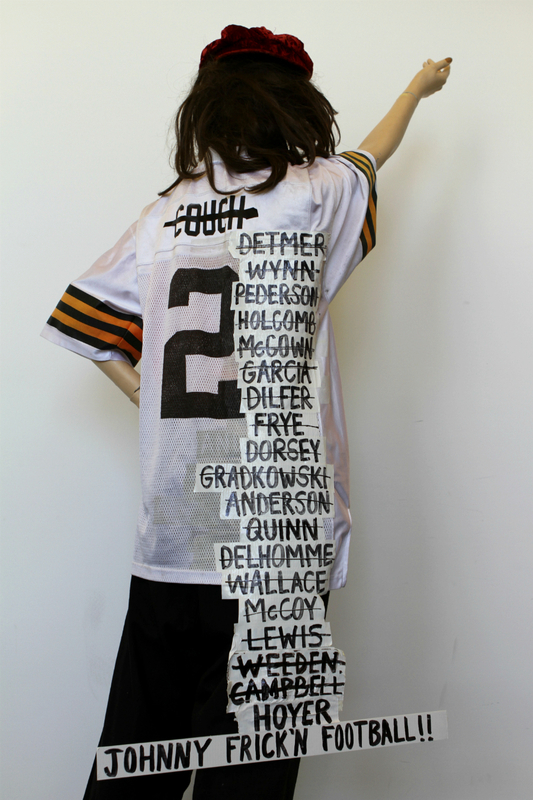 We’ve all seen the list — the catalog of terrible quarterbacks who’ve started for the Cleveland Browns since the team’s last postseason appearance. It’s dreadful — full of broadcasters and assistant coaches and McCowns. Not good. The list, and the related losing, has transformed this franchise into a punchline. Cleveland and its fans have endured 14 consecutive non-playoff seasons, bottoming out at 1-15 last year. But under Sashi Brown and Paul DePodesta, this has become an analytics-minded franchise that suddenly makes logical choices. The Browns have acquired dynamic young talents in pretty much every position group, plus the team has hoarded future early-round draft assets. Long term, there’s a lot to like in Cleveland. We might be a year away from seeing a big swing in the Browns’ win-loss record, but the trajectory of this franchise seems to have finally changed. Also, during the 2017 draft, they added a quarterback who might just be something more than yet another name on an embarrassing list. OK, bad things generally happened last season when this team went to the air. Browns quarterbacks completed only 59.6 percent of their attempts, averaging a modest 6.5 Y/A, tossing just 15 TD passes along with 14 picks. Cody Kessler was the best of an unimpressive bunch. He was the only Cleveland QB to finish with more touchdown passes (6) than interceptions (2), and he was the only guy to complete better than 60 percent of his throws (65.6). He wasn’t great, but he certainly wasn’t disastrous. Kessler completed over 65 percent of his attempts in every collegiate season at USC, so last year’s accuracy was no fluke. His athletic tools aren’t exceptional — adequate arm, adequate size — but he isn’t a reckless passer and he seems to have a good sense for his own limitations. He has the look of a luxury backup, though he’s a slight favorite to open 2017 as the Browns starter. You’ll recall that Cleveland acquired Brock Osweiler from Houston in a pre-draft salary-dump deal. Osweiler is coming off a horrendous season with the Texans. The Browns had abundant cap space to absorb his ridiculous deal, and the team acquired a 2018 second-round pick in the process. Osweiler has been the subject of various sunshiny pre-camp reports, all of which feel like propaganda. He’s been miserable in actual NFL game action. Cleveland would no doubt love to flip him for an additional pick. After last season, it’s awfully tough to treat these pro-Brock practice reports as anything other than spin. He is verifiably not good. The Browns used a second-round pick this year on Notre Dame quarterback DeShone Kizer, a player who belonged in the conversation with the three QBs taken ahead of him (Trubisky, Mahomes, Watson). Head coach Hue Jackson has been glued to Kizer on the practice field, constantly in his ear, and the early reports on the rookie have been encouraging. Considering the quality of competition in this QB battle, it’s not crazy to think Kizer can win the opening week job. That’s not to say he’s the favorite, of course, but we have to give him a shot. Kizer has a big arm and ideal size (6-foot-4, 230), plus he has the ability to make plays on the ground. He was terrific for the Irish back in 2015, with multiple NFL talents in his supporting cast (C.J. Prosise, Will Fuller). He took a backward step statistically last season when surrounded by less dynamic weapons, yet he still threw 26 TD passes and rushed for eight scores. Kizer isn’t likely to be an impact fantasy asset in 2017, but he’s a player of interest for dynasty drafters. Cleveland clearly did well to find a potential franchise QB in Round 2, with the team’s fourth of ten picks. Terrelle Pryor had a breakout season at receiver for the Browns last year (77-1007-4), but he signed with Washington in March. Pryor saw 140 targets last season, so those opportunities are now up for grabs. Cleveland is banking on big things from 2016 first-rounder Corey Coleman, an explosive talent who showed promise last year, but missed six games with a broken hand. Coleman is battling hamstring issues for the second summer in a row, so that’s a concern. Still, at his current ADP (112.7), there’s very little risk attached. Kenny Britt was signed to a four-year deal in the offseason after performing a seemingly impossible feat last year; Britt somehow topped the 1000-yard plateau with the Rams, catching passes from Case Keenum and Jared Goff. Incredible. You can’t say he didn’t earn his $32.5 million deal. Britt is the rare receiver who improves his QB situation by joining the Browns. He too seems like a no-risk fantasy option at his ADP (121.9). None of the depth chart wide receivers on this team deserve series consideration in fantasy leagues of any size. If you want the names for some reason, here’s the roster. Rookie tight end David Njoku might very well have been the best pure athlete in the 2017 draft class, regardless of position. He was a national championship-level high jumper as a prep (7-foot-1 personal best), so of course he was tremendous in the jumps at the combine. He also somehow ran the three-cone drill in less than seven seconds, which would be exceptional for a running back. For a 6-foot-4, 245-pound tight end like Njoku, it’s silly. The Browns traded up to select him, then released veteran Gary Barnidge a day later. Unquestionably, this team is moving forward with Njoku and 2016 fourth-rounder Seth DeValve as its tight ends. Don’t expect a massive fantasy line from Njoku in his first NFL season, because rookie tight ends almost never achieve fantasy relevance. But he’s a guy to target aggressively in dynasty leagues. He’s coming off an excellent collegiate season at Miami (43-698-8), a program know to produce upper-tier tight ends. Cleveland finished with the fewest rush attempts in the league last season (350), yet the team ranked second in yards per carry (4.9). So, um … whoops. Looking back, perhaps more running would have been a good thing. But stuff like that happens with one-win teams. “I beat myself up over that,” Coach Jackson has said when discussing the team’s rushing attempts. Don’t expect the run/pass mix to look the same in the season ahead. The Browns beefed up the interior of the offensive line via free agency, and of course the unit is still anchored by tackle Joe Thomas. Isaiah Crowell was damn good in 2016, rushing for 952 yards and seven scores on just 198 carries (4.8 YPC) while also catching a career-high 40 passes. Crowell hasn’t missed a game over the past three seasons and he’ll be an unrestricted free agent at the end of the year, if you care about such things. He’s not the flashiest runner in the game, but he makes plenty of good decisions with the ball in his hands. With an enhanced O-line and a head coach determined to run, it’s tough not to like Crowell at a fourth or fifth-round draft price. His usage last season as a receiving option makes him far less format-dependent as a fantasy asset. Duke Johnson remains an important supporting piece in this team’s backfield committee, and he’s coming off a season in which he gained 872 scrimmage yards. He averaged 4.9 YPC, but he saw only 73 carries to Crowell’s 198. Based on Johnson’s role over the past two seasons, we have to view him as a PPR-only option. He caught 53 balls last year and 61 the season before. Cleveland’s defense ranked 30th in points allowed (28.3) in 2016, and next-to-last in yards (392.4), sacks (26) and takeaways (13). So there’s nothing to like in last year’s numbers. And still, it’s tough to not feel somewhat hopeful about a unit that just drafted Myles Garrett and recently signed Jamie Collins to a four-year deal. This D has talent at every level and DC Gregg Williams at the controls. IDPs of interest include Collins, Garrett, LB Christian Kirksey and S Calvin Pryor. Honestly, I don’t think I’ve ever felt so bullish on the future of a team ranked this low in the Juggernaut Index. There’s hope, Cleveland. You’re gonna like the 2019 Browns.